Nikon has announced the launch of its new COOLPIX L100, which combines high performance, high-powered 15x optical zoom and advanced shooting functions into single easy-to-use digital camera. 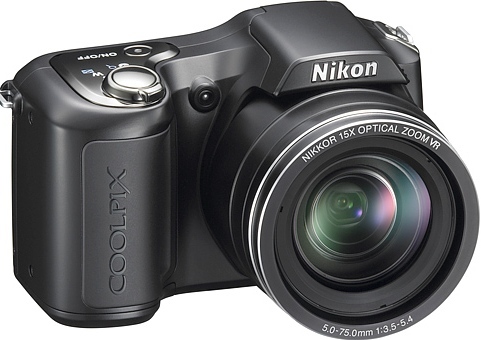 The new Nikon COOLPIX L100 digital camera will be available in coming April 2009 for about $280. In addition to L100, Nikon also announced its new COOLPIX L20 (10 megapixels ; 3-inch LCD) and L19 (8 megapixels ; 2.7-inch LCD) digital cameras, which slated to be available later this month for about $130 and $110, respectively.